This morning at Mass, Fr. Sam spoke of the millennia passed since Christ first came incarnate. The thought immediately popped into my head, “This is Mom’s first Christmas in heaven.” Some of you may have read here or here, of earlier reflections I’ve posted since her passing. 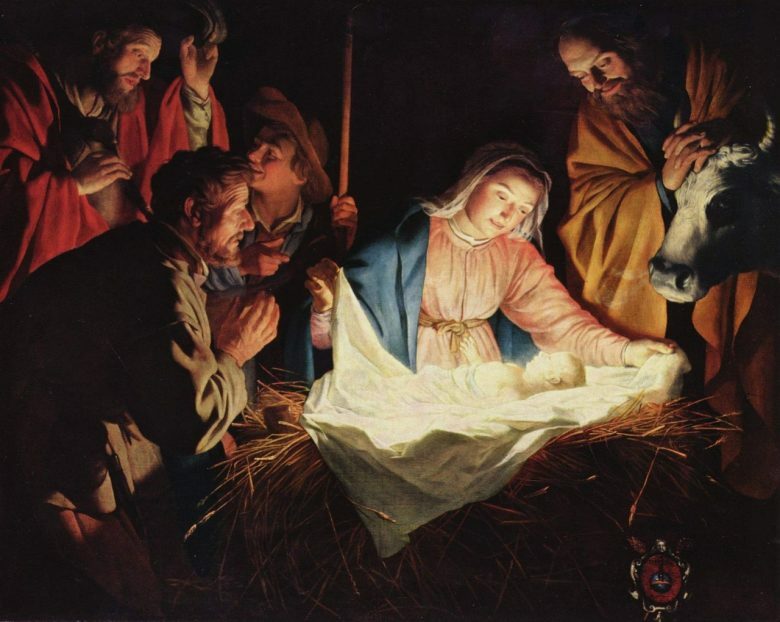 So here we are at another anniversary of Christmas – marking once again momentous history of God made man. Some can not claim belief despite His message offered freely, at the piddling price of all we think we are. What farce we play in raising any other to His place. Yet grace, reflection, memory and will – still serve up words upon each meditation’s canvas. This day, in the first such holiday season since Mom has gone beyond the grave, there comes a peace amid the pain. The thoughts reflect comfort in affliction and invite the hope she modeled all her life. For this, and so much more, I offer thanks to God. more than some would bear. in your battled endings, broken. Holiday seasons are often stressful times for many reasons. The First Christmas in Heaven is bound to surface all sorts of feelings. I invite you to share your joys or sorrows after the death of one(s) held most dear to your heart. Help us understand and serve each other by sharing your comments below. Oh Paula, Sincere condolences to you and your family. What a loving tribute to your Mom. Thank you so much – I love that saying! Believe me, there are a lot of trips down memory lane with the holiday season upon us. A lot of ‘remember when…’ to launch us into a story of times past with Mom. My older sisters, thankfully, are always reminding me that Mom is as close as a thought or memory. It is bittersweet – but so much for which to give thanks. Warm holiday greetings to you – have missed seeing your work in the Rhymezone!